We would like to introduce you to all of our new friends! The first of May brought new faces to the farm this year! Six weeks have past since the arrival of 16 beautiful Tamworth pigs, and two wonderful apprentices. Erika Bland and Sean Davids have joined us for the full season to share in our growth, hard work and learning and we are excited to introduce them to all of you. Both, Erika and Sean are settling in well to life around the farm and find Pemberton to be the home they have been looking for. The sun and showers have brought a great start for us this year and we’re looking forward to all the days and weather to come. The beds are made in our transplant field, the poles are in for beans; our greens have been making their way to dinner plates through markets and restaurants and it’s getting close to the start of our CSA. 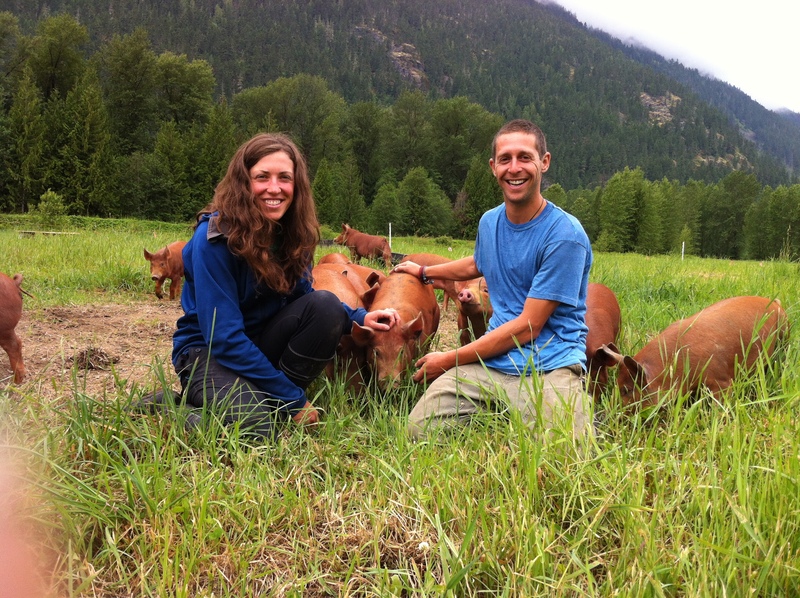 We’d like to welcome and remind everyone to visit us this year in the markets of Pemberton and Whistler, Squamish and Kitsilano and invite all to visit the farm for tours and treats August, 19th during the Pemberton Slow Food Cycle event. We look forward to hearing winter stories and catching up with the community of friendly faces we’ve come to know and love and thank you all for being a part of our journey. The season of excitement at Rootdown Organic Farm. ← 2012 CSA Harvest Box Filling Quickly! Only 5 Spots Remain!